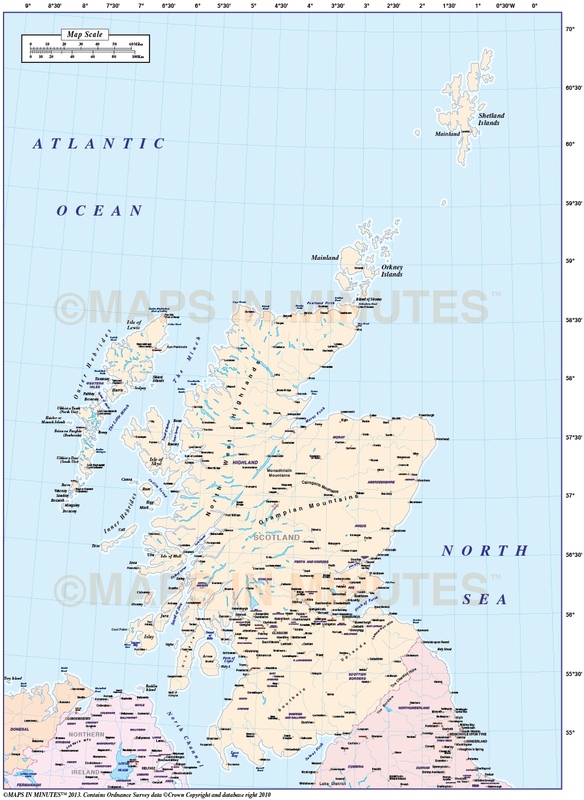 Scotland vector editable Map in Illustrator AI CS format incl. Shetland & Orkney Isles at 5m scale. Royalty free. Small scale, up-to-date, detailed, 100% editable layered vector political Scotland map in Illustrator and PDF formats. Suitable for use from A4 to A3. All text is editable font text. Contains Ordnance Survey data. Small scale, up-to-date, detailed, 100% editable layered vector map. Suitable for use from A5 to A4 but if used larger the line and text quality will remain sharp. All text is editable font text. This map will match Ordnance Survey data and co-ordinates. Contains Country boundaries and fills. Layers include: Coastlines, country boundaries, country fills (as separate objects). Settlements layered by population. Physical features include rivers, lakes, island, bay and headland names. Formats: Available Illustrator CS1 (for use with Illustrator CS1 to CS6 or later) or Adobe Acrobat Editable PDF 6.0 format. Our maps in PDF 6.0 format are fully layered within Acrobat but can still be opened and edited in Illustrator CS4 -CS6 while retaining full layering with 100% editability. How to download: You will be able to download by logging into Your Account where you can check the status and details of orders (including the applicable Product End User Licence). Authors notes: This small scale basic Regions map is re-drawn and updated for 2018. Buy today and use immediately. 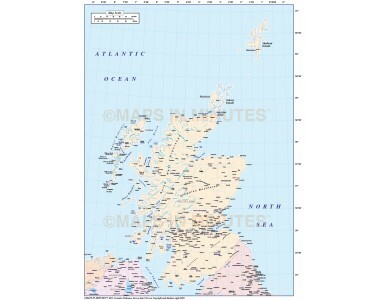 Also available for purchase are sets of British Isles maps, please see our British Isles Map Collections category. If you would like a custom map created to your requirements please Contact Us for a quote or give us a call to discuss. 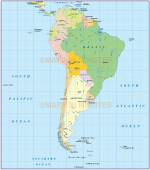 This map is also available with high resolution relief backgrounds, click Here to see an example.